This is the second of a two-part article that explains how the Internet of Things works and its impact on our personal and professional lives. Part Two demonstrates how big data will benefit manufacturing, healthcare, and retail operations. A huge volume of information that is too large to store and manage via traditional methods is known as big data. And with big data comes big changes. According to VDC Research, big data consists of traditional enterprise data, social data, and machine-generated data, which records transactions using data capture technology found in barcode scanners and imagers, mobile computers, machine vision equipment, and sensors, such as those being embedded into everyday objects. 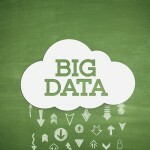 The benefit of big data? Instant, educated decision-making. But to achieve this goal, you must accurately analyze the information. The Internet of Things (IoT) gathers, analyzes, and shares big data in real time for instant decision-making—whether by a machine that is responding to predictive behaviors or a human managing an assembly line. The widespread adoption of IoT technology will finally give organizations deep visibility into their mission-critical operations—especially in retail, logistics, and supply chain environments. And while this advantage is desired, it doesn’t arrive without challenges. These obstacles are expected to be resolved as the automatic identification and data collection (AIDC) industry adjusts to the next chapter of their respect legacy. However, if organizations do not invest in analytical tools and staff to correctly assess and present big data, they won’t realize the decision-making boost they desire. Regardless of the hurdles, Zebra and VDC agree with industry experts like SAS, which predicts big changes for big industries, including manufacturing, healthcare, and retail. Supply chains are the lifeline for every manufacturer. Any disruptions with suppliers, distributors, and planners in logistics, warehousing, and manufacturing processes can significantly increase inefficiencies and costs. Likewise, delays when receiving materials and shipping finished goods can create costly logistical nightmares that extend lead times and anger customers. With “Industrial Internets” that connect physical machinery, networked sensors, and software from end-to-end, organizations across the entire supply chain will enjoy optimal production, product development, and after-market servicing. In fact, GE predicts that industrial industries will realize opportunities of $1 trillion per year just by improving how they use and maintain assets and resources. One example is the automobile industry. They are paving the IoT way with collision detection systems that identify imminent collisions and immediately determine evasive actions that the vehicle can make if the driver doesn’t respond. Patient safety and treatment costs are driving monumental changes in the healthcare industry. Legislation such as the Electronic Health Records (EHR) act requires providers to maintain life-long, detailed patient records. Administrators are also tasked with reducing theft, optimizing response times, and improving the consumption of assets in healthcare facilities. Today, healthcare professionals use the data generated from barcodes on wristbands, medications, and diagnostic tests to verify patient identity and provide treatment. With the IoT, this process will be streamlined. For example, machines will proactively notify service personnel when they are starting to fail, thereby eliminating downtime that can prolong a patient’s illness due to a lack of proper diagnostics and treatment. The IoT will also support the growing practice of remote patient monitoring, and it will allow instant access to patient records from any location across the country through integration with the online EHR. This connectivity will benefit both traveling and local patients by minimizing life-threatening errors while maximizing safety and improving the quality of care. Retailers must maintain proper inventory levels while tracking and tracing each product to control costs and satisfy customers. Chains are particularly pressured to maximize inventory turns, improve employee performance, and identify the right sales strategies—while also enhancing the customer experience across multiple channels. In fact, attracting and retaining customers is critical to a retailer’s success. The IoT will enable retailers to build upon the data they are already collecting from online shopping and point of sale (POS) transactions by outfitting brick-and-mortar stores with sensors and videos that monitor how long shoppers linger at certain displays and what they purchase. Store managers can then use this information to optimize layouts by location. Additionally, they can instantly individualize in-store promotions that increase sales and personalize loyalty programs that drive lasting customer relationships. To ensure you’re not left behind, it’s important to establish a relationship with a solutions provider like System ID. We have premier partnerships with leaders in the automatic identification and data collection (AIDC) industry and use these relationships to grow our knowledge about emerging technologies such as the IoT. In addition to selling IoT-ready devices, our trained advisors can help you implement the best strategy for your needs.